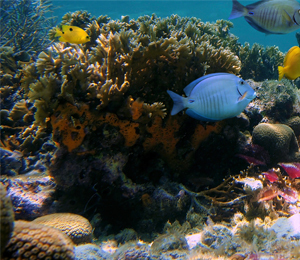 Coral reef is home to many unique species of aquatic plants and fish. While coral appears to be made of rock, the diverse habitats that make up the reef are actually quite susceptible to damage. Pollution, certain types of fishing and climate change all have an impact on coral reefs and the organisms that depend on the reef for survival. Protecting the reef begins with learning more about the threats and what you can do to avoid causing damage during your next Key West snorkeling trip. 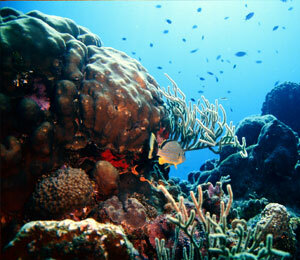 Some types of human activity can cause physical damage to coral reef. For instance, fishing using destructive methods, such as tapping the reef with sticks or using poison to push fish to the top of the water, causes the reef to become broken or damaged. 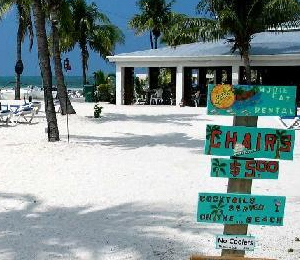 Boats and traps for crab and lobster can also be damaging. Boat motors can break the coral reef apart while traps that are moved by ocean currents can be pushed into the coral reef causing breakage and disturbing the delicate balance of the unique habitat within the reef. Even something as simple as touching, standing on or disturbing the sediment around the reef can cause damage and put the reef at greater risk of becoming diseased. Tourism is one of the dangers to coral reef habitats when divers and other visitors aren't careful about their exploration in the area. 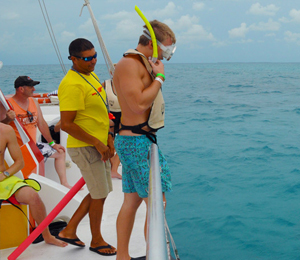 If you are planning on attending a Key West snorkel events, make sure to use care and caution when exploring the reef to ensure you don't damage or disturb the animals and coral in the area. While the coral reef can quickly experience damage from human contact, boats and traps there is also the risk of reef becoming slowly damaged from pollution and climate change. Water runoff from nearby land is one of the biggest contributing factors to changes in water composition. For instance, when fertilizer is applied to commercial farmland or even your own lawn, the excess fertilizer washes off the land and runs into the ocean when it rains. The chemicals in runoff can change the water surrounding the reef, which in turn affects the plants and animals living in the area. Pollution is just one of the threats to coral reef. Some scientists think that climate change is also a factor in the survival of the reef and the plants and animals that depend on the reef for survival. When water becomes warmer, changes begin happening in the waters surrounding coastlines. Coral bleaching is one example of how climate change is damaging coral reefs. Coral reefs continue to be threatened as long as climate change, pollution and human interference cause damage to the reef.